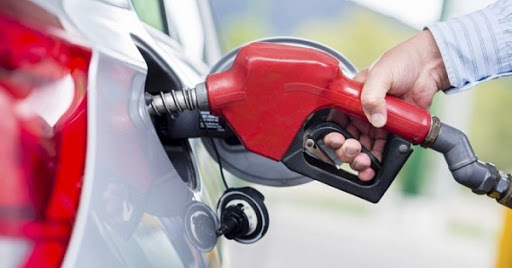 Do not worry, there are a few ways to increase the fuel efficiency of your car and save money in the process. Ever noticed that your car gas bill breaks your budget and you have no room for other necessities? Let's face it. These days’ fuel prices aren't getting any lower and this will only continue to drain the money out of your pocket. Aside from choosing cheap fuel, there are a few things that you can do to save up and this involves the car itself. Let’s tackle them one by one. Carefully plan out your schedule before you head out. 1. Is your car too heavy? First of all, do you have a lot of things inside your vehicle? If so, then it’s time that you change a few things. Did you know that the fewer things you have inside your car affects how much fuel you're using on a daily basis? In fact, if you lighten the load, the less fuel you will burn when traveling. You might want to remove the things that are unnecessary. 2. How about the car’s air-conditioning? Second is how you use your car’s a/c, as this also plays a significant role in your fuel consumption. For example, if the weather's fine; you might also want to take advantage of the fresh air outside. Roll down your windows and keep your car well ventilated. Use it to cool yourself off. If that's not the case, then that would be the time to turn on your car a/c. 3. Are you going too fast? Are you always in a rush? Always navigating the busy streets in a hurried manner? Try going slow and steady. Of course, it is already a norm that if you go faster you'll end up using more fuel and also more prone to accidents. So take it easy, drive at a normal pace. In addition to this, be mindful of your acceleration rate, as this also affects on how your car uses fuel. Accelerate slowly, up shift at an efficient rate. Be mindful of your revolutions per minute, frequently redlining your RPMs burns more fuel, apparently more than what’s necessary. Alright, let’s go into car maintenance. Let’s talk about tires first. It’s a bit trivial but the tires that you have on your car is a factor to fuel consumption; as there are certain types of tires that allow your vehicle to move and use less energy as you drive. Replacement might not be necessary. You should, however, keep them well maintained. Check if it's on the right pressure level. Underinflated tires causes stress called "rolling resistance". Another thing is that you should never forget to keep your car's engine in check and give it a tune-up. Look through the air filter and see if there are any obstructions, as a clogged air filter hinders its performance. 5. Carefully plan out your schedule before you head out. Going on multiple trips and constantly traversing the road does mean a lot of fuel usage. Be mindful of how you go about your daily schedule. Make sure that you complete your errands and hit all the needed stopovers on the way, and all in one go. This does not only help you conserve fuel, but it also saves time and effort. There you have it; those are the few small things that you should know about when it comes to fuel efficiency. Keep it on a wallet-friendly budget and get more out of your money.